Amazon.com description: Product Description: The flashing steel of the samurai sword conjures images of the ancient warrior elite of Japan. With the growing popularity of the martial arts, more and more people are looking for reliable information on the fighting traditions of the redoubtable Japanese warriors. These rare and often misunderstood arts are demystified in the eight essays in Sword & Spirit. The authors are all highly skilled and qualified practitioners, who have spent decades living, training, and researching in Japan--and they are unique in that they can tell their tales in English. 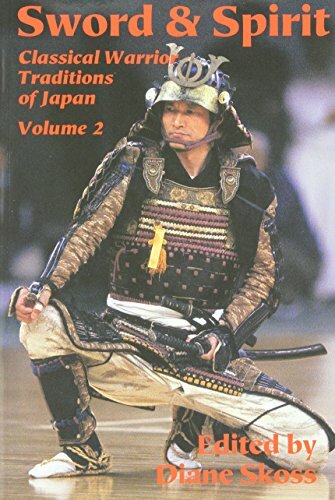 Volume one of the "Classical Warrior Traditions of Japan" series, Koryu Bujutsu, was hailed by Wayne Muromoto of Furyu: The Budo Magazine as "...probably the best book on martial arts this year, if not for several years past and hence..." Don't miss these beautiful, well-researched books! About: The flashing steel of the samurai sword conjures images of the ancient warrior elite of Japan.